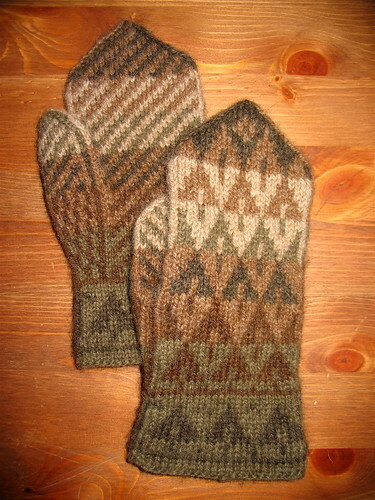 At Christmas, Nicole gave me this amazing Nordic-style mitten knitting kit which she found in Finland. 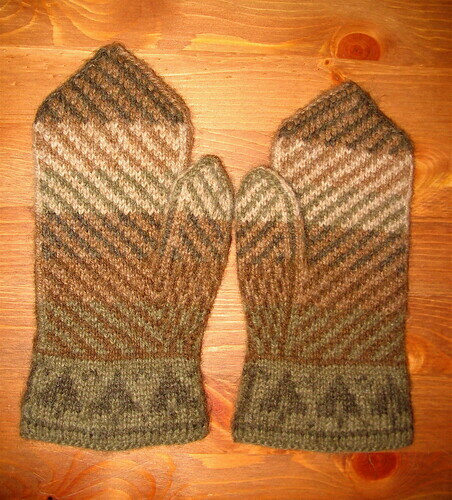 I looked at the photo on the box of the finished project and I thought, these are beautiful but it will be years before I'm a good enough knitter to make them. The pattern required Fair Isle-style colourwork, knitting on double pointed needles and picking up stitches along an edge - three skills I had never learned. I didn't think I could manage the difficult-looking directions. Seriously, I cannot believe I actually made these. This project is a quantum leap in skill level beyond anything else I have knitted. I'm amazed at myself. 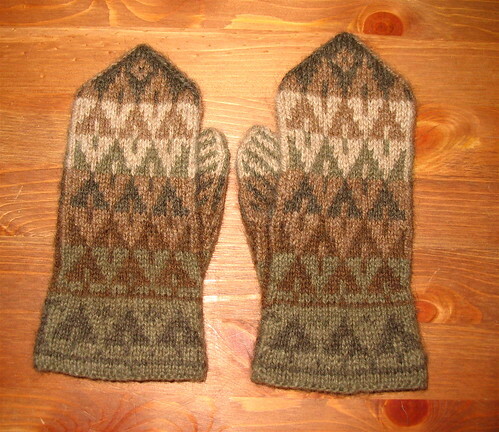 There were no mistakes at all, except for the slight difference in size which was the result of knitting one mitten while on vacation (loose, relaxed stitches) and working on the other one in evenings after work (much tighter gauged stitches). They are so perfect, I want to frame them instead of wear them. I think there's a lesson here for me, something about having more talent or ability than I give myself credit for. Perhaps there's something to consider about challenging myself more often: the results might be beautiful. Wow, they're gorgeous! Well done. I've always been too intimidated to try colourwork knitting, but you've inspired me to give it a try.